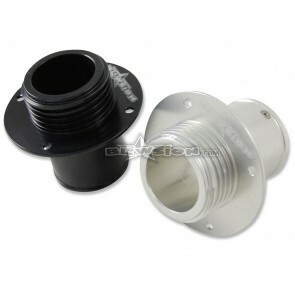 Blowsion 45-Degree machined aluminum bilge fittings are a clean replacement of the bulky plastic fittings usually supplied with aftermarket bilge pump kits. Available in Anodized Black or Clear. 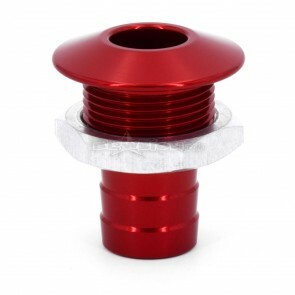 Blowsion machined aluminum straight bilge fittings are a clean replacement of the bulky plastic fittings usually supplied with aftermarket bilge pump kits. 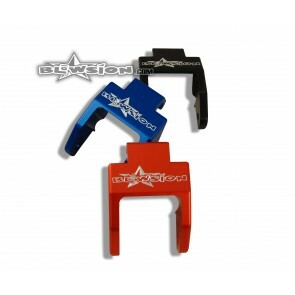 Available in Clear, Black, Green, Red, Blue & Orange anodized colors. 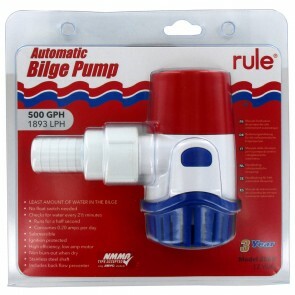 Rule Non-Automatic 500GPH Fully Submersible 12 Volt DC bilge pump. Unmatched in pumping power and longevity. Higher Flow – optimized impeller to provide greater flow at the same amperage. Back Flow Prevention - reduces the amount of water left over in the bilge, reducing odor and helping keep your bilge cleaner. Easy to mount and ready to go! 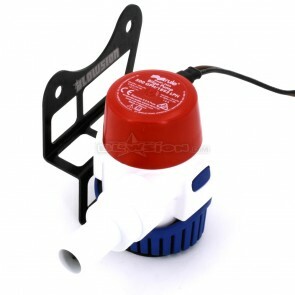 Rule 25SA Fully Submersible Bilge Pump, 500 Gallon Per Hour, 12 Volt DC, Automatic Electronic Sensing. 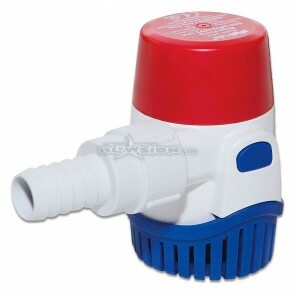 Bilge Pump turns on and checks for water approximately every 2-1/2 minutes. If resistance (water) is found, it will run for as long as water is present. When all the water is pumped out, the pump shuts off and returns to its 2-1/2 minute test cycle. 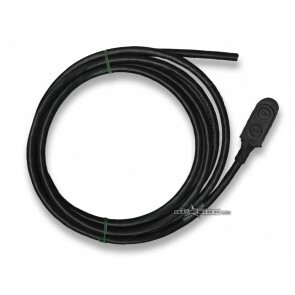 Blowsion Bilge Pump Hose - 10 Foot Section is plenty for most dual pump and custom applications. Color: Black Only. 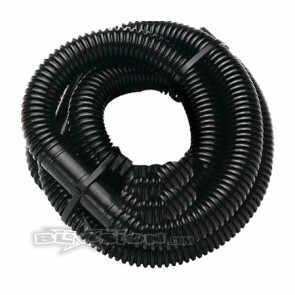 Hose Diameter (ID): 3/4" inch. 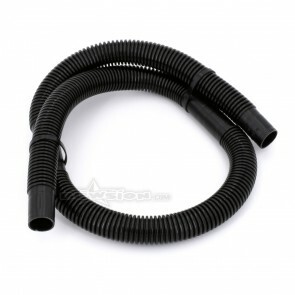 Blowsion Bilge Pump Hose - 3 Foot Section is plenty for most single pump applications. Color: Black Only. Hose Diameter (ID): 3/4" inch. 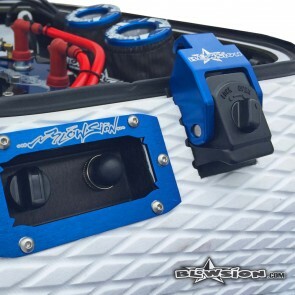 The Blowsion Bilge Pump Mount is designed to mount the Rule Bilge Pump (Sold Separately). The bracket mounts to the lower two bolts of the driveshaft bearing carrier. Includes rivets to mount bilge pump strainer to bracket. Anodized Black. Fits all Kawasaki SXR 1500 Models. 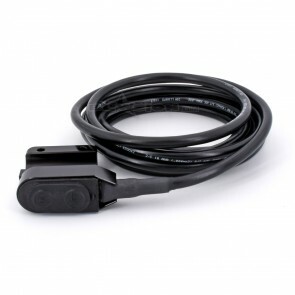 Universal Handle Bar Mount Bilge Switch. Fits any watercraft handle bars on the market. Anodized Black. 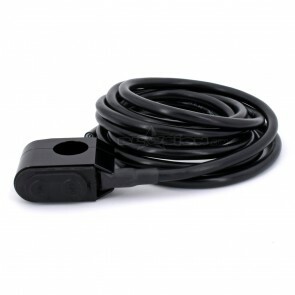 This Sano Bilge Switch Mounts Directly to the Bottom of the OEM Start / Stop Switch Housing of all Kawasaki Watercraft. 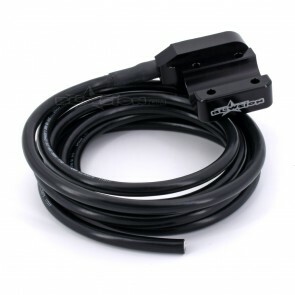 Finally- a replacement switch and 9 feet of cable for the always popular handlebar mount switches. This is one super clean exhaust nozzle to clean up and sanitize the rear of your SXR. Function and fit are Blowsion perfect. Vanity rules on these beauties. 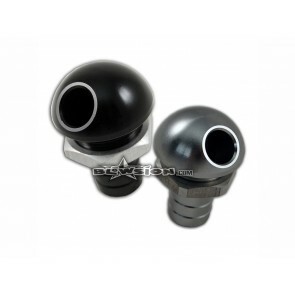 Fits all Kawasaki SXR 800 and SXR 1500 Models. Available in all anodized colors! Closeout Sale on Last Years Model. This is one super clean exhaust nozzle to clean up and sanitize the rear of your SXR. Function and fit are Blowsion perfect. Vanity rules on these beauties. 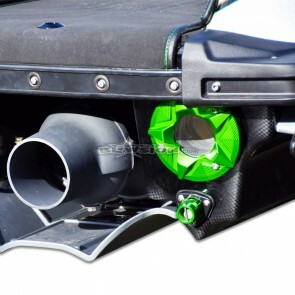 Fits all Kawasaki SXR 800 and SXR 1500 Models. Available in Anodized Orange Only. 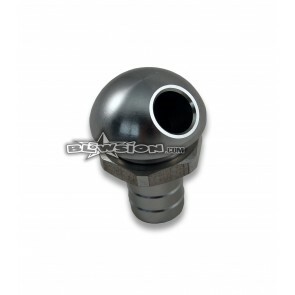 Blowsion Billet aluminum fuel cap socket filler neck. Fits all years Kawasaki SXR 800, SXR 1500, 750 SX, SXI and SXI Pro, ZXi, and STX models. 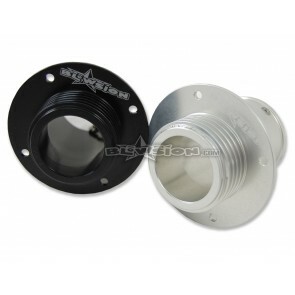 Works with stock plastic or aftermarket billet gas caps. Available in Black or Clear. 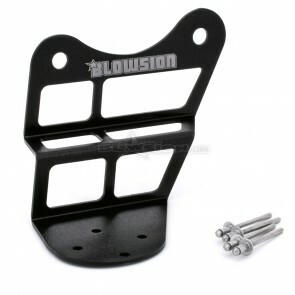 Replace your rear factory hood latch with a billet aluminum BLOWSION latch and ride worry free. Recently updated and re-machined to also fit the Kawasaki SXR 800 and SXR 1500. Also fits all years Yamaha FX1 and all years Yamaha Super Jet. 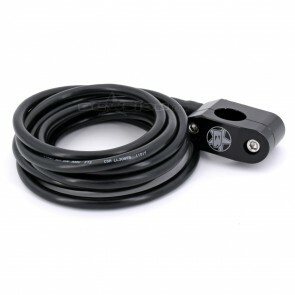 A must for surf and big wave riders, especially those running a BLOWSION pole limiting rope. Requires the stock base locking hardware. 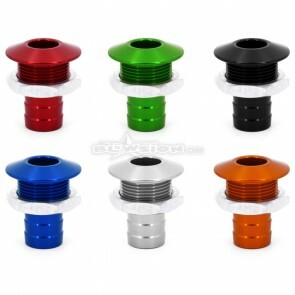 Now available in more colors- Anodized Green, Red, Blue, Orange, Clear and Black! New Low Profile Lightweight Design. Sanitary and functional. 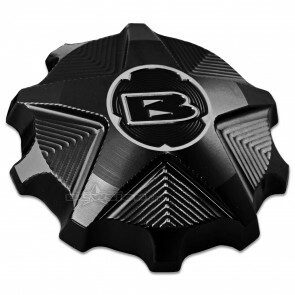 The Blowsion Billet aluminum Kawasaki fuel caps fit all Kawasaki standups and most sit-downs. Vortex design shape with engraved grooving allows for easy handling. Available in all colors! Closeout Sale on Last Years Model. Sanitary and functional. 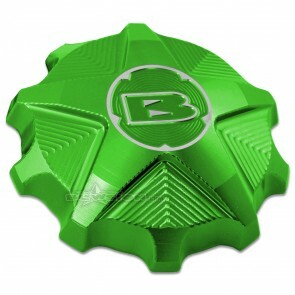 The Blowsion Billet aluminum Kawasaki fuel caps fit all Kawasaki standups and most sit-downs. 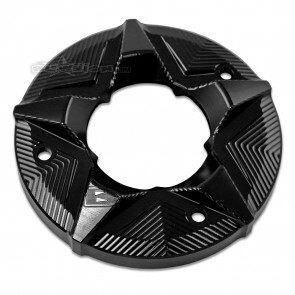 Vortex design shape with engraved grooving allows for easy handling. Available in Anodized Black or Clear Only.